How To Get More Free Dropbox Cloud Storage Space? Dropbox is a very popular cloud storage service that was launched in 2008. It is probably the best cloud storage service in the world and is used by millions of people. Dropbox lets you store files in the cloud and syncs your files across multiple devices. 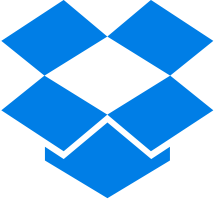 The Dropbox application is available on a wide variety of platforms like iOS, Android, Mac OS X, Windows etc. Dropbox, offers 2 GB of free cloud storage space to anyone who signs up for its service. But, we all very well know that 2 GB is a pittance and we could run out of the free space in a very short time. So, if you want more free Dropbox cloud storage space, you need to do a few things to get it. Doing all these things could take your free Dropbox cloud storage space to more than 70 GB. Also See: How To Get More Free Google Drive Cloud Storage Space? Also See: How To Get More Free Box Cloud Storage Space? Also See: How To Get Extra Free Cloud Storage On OneDrive, Copy, Bitcasa & Mega? You could earn upto 250 MB additional space by doing simple tasks like taking the Dropbox tour, installing Dropbox on your computer, putting files in your folder, installing the Dropbox app on your smartphone etc. Dropbox gives you an additional 500 MB free cloud storage space for every successful referral. You can get upto 16 GB additional space just by referring friends to Dropbox. You get 125 MB each for connecting your Facebook account and Twitter account to your Dropbox account. So, if you connect both Facebook and Twitter account you get 250 MB more free storage. If you have a Twitter account, all you need to do is follow Dropbox on Twitter to get an extra 125 MB free storage space. Do a task as simple as sending some silly feedback to Dropbox and you are gifted with an additional 125 MB free space. Download Mailbox, the highly popular email management app owned by Dropbox and sign in with your Dropbox credentials to get a whole gigabyte of free cloud storage space from Dropbox. You get a whopping 48 GB more free Dropbox cloud storage space by owning an eligible Android smartphone or tablet from Samsung. You are eligible for 48 GB free storage for one year if your device has the Dropbox app pre-loaded on it. You are eligible for 48 GB free storage for two years if your device has the Dropbox app pre-loaded on it as well Dropbox “out-of-box experience”. You could get upto 23 GB free space by owning an eligible HTC smartphone. To get the free space, your HTC smartphone should come pre-loaded with the Dropbox app. Smartphones with HTC Sense 3.5 and 3.6 are eligible for 3 GB of additional free cloud storage space for one year whereas smartphones with HTC Sense 4.0, 4+ and 5.0 are eligible for 23 GB free cloud storage space for two years. The final thing you need to do is follow the Dropbox blog closely. Dropbox regularly announces on its blog various promotional activities that give away free cloud storage space to its customers. If you have used any other methods to get more free Dropbox cloud storage space, so let us know through your comments. Next post: How To Get More Free Box Cloud Storage Space? Previous post: How To Get 50 TB (Terabytes) Free Cloud Storage Space? What is dropbox out of box experience? According to Dropbox, “If your device is pre-loaded with the Dropbox app and the first time you turn on the device, if you are asked to sign in to Dropbox or create a new account, this is called Dropbox out-of-box experience”. Great read, I totally back your advice. I recently tried to create some accounts to max out my referral space. I found creating all these accounts rather tedious and eventually I opted for something else ? I was a bit sceptical first, but delivery was super quick, within a matter of hours (I heard some other sites take days..) I used dropboxreferral.space. Some friends from my project group used it too. http://www.dropbox.com/getspace gives you more ways that you can get additional storage space like tweeting about it and connecting to your Facebook account. Hope this helps! Great read, I totally back your advice. I recently tried to create some accounts to max out my referral space. I found creating all these accounts rather tedious and eventually I opted for something else :P I was a bit sceptical first, but delivery was super quick, within a matter of hours (I heard some other sites take days..) I used http://dropboxreferrals.com. Some friends from my project group used it too. On the Samsung Galaxy smartphones they are providing free 50gb dropbox space and you get it free for 2 years.